John Robert McLean, age 82, passed away peacefully at the NC State Veterans Home in Salisbury on February 10th. He was the son of the late Robert Bert McLean and Johnnie McLean. He was more commonly known by his family and friends as Shorty. 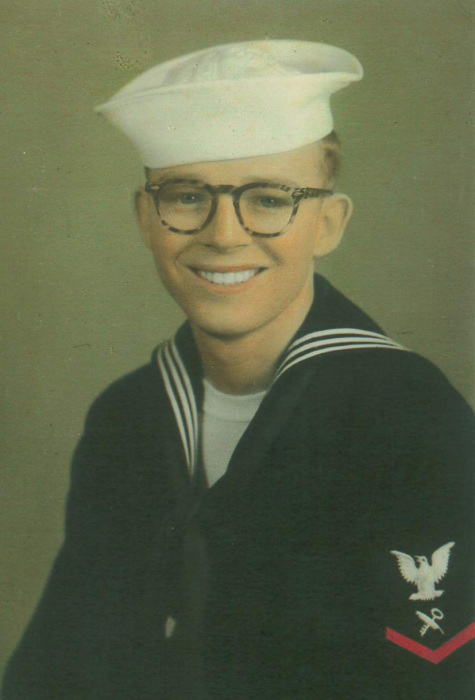 He grew up on McLean Road in Newell and served four years in the Navy on the USS Holmes Ship. He was a truck driver for Johnson Motor Lines for most of his career and never walked out the door without hugging and kissing his wife and each of his children. He never met a stranger and loved his family dearly. His favorite pastime was watching NASCAR and enjoying his wife’s cooking. He is survived by his wife of 61 years, Sue Church McLean and his four children Terry McLean, Susan McLean Watkins (husband Mike), Angie Chunn (husband Todd) and Marsha Suther (husband Eric). He also has three grandchildren which were the joys of his life, Rev. Jesse McLean Watkins (wife Tyler), Adriane Watkins Miley (husband Nick), and Corey Garmon. He also has three great grandchildren from his grandson Jesse who are Bella Lynn Watkins, Roman McLean Watkins and Mayer Church Watkins. He loved his country, his family and his Lord. Rest in peace Paw Shorty, your family sure did love you! The family will receive friends from 11:00 am -11:45 am on Thursday, February 14, 2019 at Hartsell Funeral Home of Concord. The funeral service will follow in the Funeral Home Chapel at 12pm and officiated by Rev. Jesse Watkins. Burial will follow at the Salisbury National Cemetery, Salisbury. In lieu of flowers, the family has requested that memorials be sent to Friendship Southern Baptist Church, 180 W. Avenue SW, Concord, NC 28027. Hartsell Funeral Home of Concord is serving the McLean family.